Trinity's vision is to "know Christ and make Him known". There are many opportunities to "know Christ" through Worship, Bible Classes and Sunday School. There are also many opportunities to help "make Him known" through Fellowship Events, Community Events, Christian Hospitality, and as "Conversation Partners" in ESL Bible Classes. 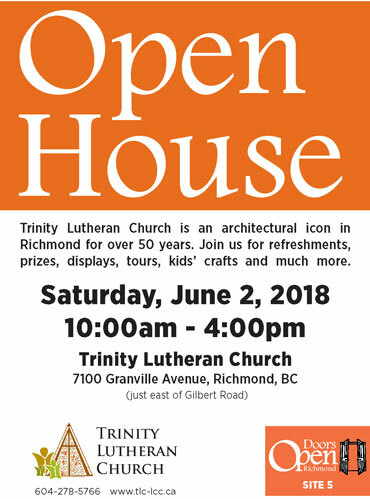 All are welcome to join in all activities and take part in Trinity's vision. We have an awesome God who loves us unconditionally. What better way to honour Him then to worship Him, learn more about His love, give thanks for the gift of His precious Son who gave His life so we could inherit eternal life, and help others learn more about Him. May God bless you today, and every day! On Tuesday, April 2, 2019 from 10:30am to 12:00 noon, Trinity will host an interactive workshop. An Introduction to Dementia will help participants recognize when someone may be living with the disease. It includes helpful strategies and tips for communicating with people who are living with dementia and where you can go for more help. Pre-registration required as a light lunch will be provided after the presentation. When the Easter Sunrise Worship Service is over, we will have an Easter Pancake & Potluck Breakfast from 8:15am to 9:15am on Easter Sunday, April 21, 2019. The Fellowship Committee will supply pancakes and syrup. Members bringing items, will supply casserole dishes, cereal, fruit, muffins, croissants, etc. Be ready to sign up and bring a favourite breakfast item. Everyone is invited to the Pancake and Potluck Breakfast. If you would like to know more about Christianity and its basic teachings, this class is for you. This easy-to-follow class is an excellent overview and introduction to the Christian faith intended for both long-time members and especially for those who are new and simply curious about Christianity. Everyone is welcome! The lessons are designed for both English speakers and ESL students. As each lesson builds upon the content of the previous lesson, attendance each week is required. The 9 to 12 week long class will take place Sunday mornings at 9:30am beginning Sunday, June 3, 2018 at 9:30am. Please contact the church office if you are interested so we can prepare a lesson booklet for you. To see a video of this year's 2018 Resurrection Egg Hunt, please click here. 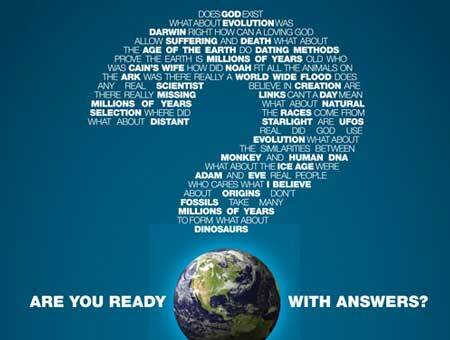 Creation Ministries International is coming soon with answers to these important questions. Come and hear Tom Tripp expose the bankruptcy of the evolutionary myth. You'll be amazed to see how weak the scientific evidence for evolution is. Find out more during Trinity Lutheran's 11am Worship Service on Sunday, January 28. "Climbing the Creation-Evolution Ladder: Which Side is More Stable?" This year is the 500th anniversary of the Reformation begun by Martin Luther... the 500th "birthday" of the Lutheran Church (and all Protestant Chuches). 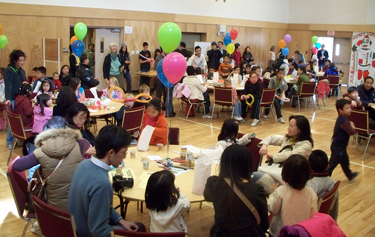 On Saturday, October 28 there will be a LARGE gathering of Lutherans at Trinity Lutheran Church in Abbotsford, BC. This event includes a masive hymn sing, a worship service (Preacher: LCC President, the Rev. Dr. Robert Bugbee), and a lavish banquet. Our congregation has been given an allotment of 20 banquet tickets. Ticket prices are $35 for adults, $10 children 6-12, free for children under 5. Ticket will be for sale at Trinity-Richmond after 11am worship on Sundays Sept 17, 24 & Oct 1 until they are gone. See poster below for more details.